Arquia Social carries out the Social Arquia Student Support Program, under the principles of equality, merit and aptitude, in order to facilitate the means to allow the beginning and continuation of their Architecture studies to those people who, due to their situation Currently, they have difficulties in paying the cost of their studies or special needs. 50 tuition assistance for students of university studies leading to the title of Architect in order to promote training in the field of architecture, by supporting students of architecture who are in financial difficulties to be able to assume the cost of enrollment and that have not been beneficiaries of official aid or those students who require special needs, in order to start or continue their studies. 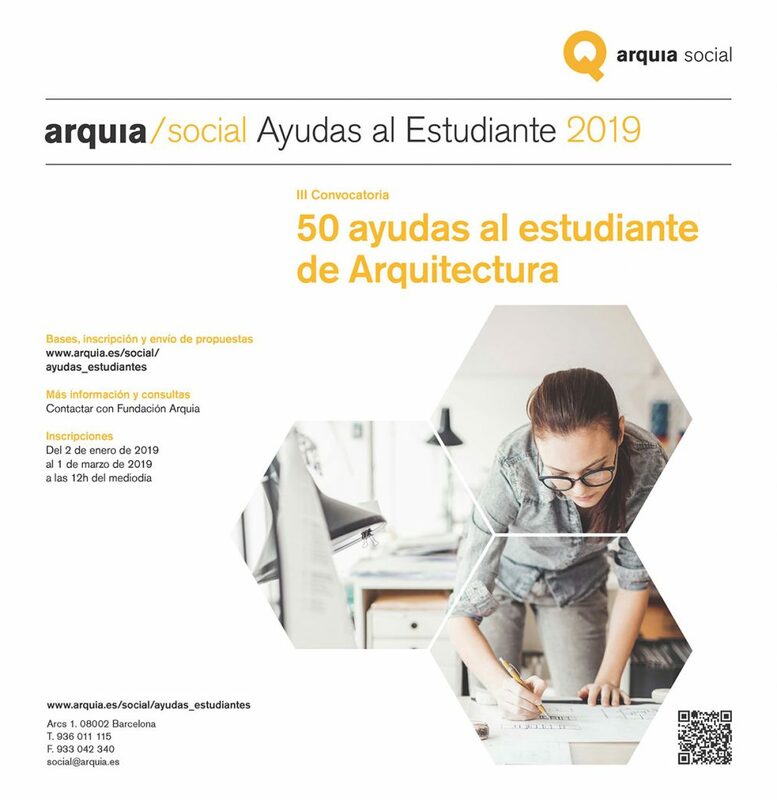 · Ayuda Arquia Social Home Studies, 5 grants with a maximum of 500 euros each for students in the first year of the Degree in Architecture in order to help cover the cost of stay and maintenance. 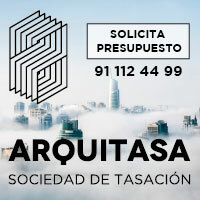 · Arquia Social Tuition Assistance, 40 grants with a maximum of 500 euros each for students of the university studies leading to the title of Architect in order to cover part of the costs of enrollment. · Arquia Social Assistance for Students with Disabilities, 5 grants of 500 euros each, for students of university studies leading to the title of Architect with a degree of disability greater than 33%, in order to cover part of the material expenses and displacement derived from the development of their studies. 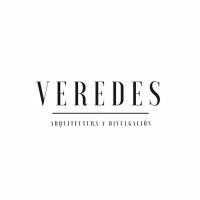 Students who, in the academic year 2018-2019, are enrolled in the university studies leading to the obtaining of the official title of architect in a public university of the Spanish territory and that, not being beneficiaries of aid or scholarship of another type, fulfill the requirements that establish these bases. Deadline on March 1, 2019 at 12 noon. + All the information you can find here.